My son came into the world with a bang. Literally. At 1:10am on May 23rd I was lying awake in our guest bedroom (where I slept the last 3 months of my pregnancy) listening to the storm outside when the loudest thunder clap I’d ever heard crashed and rolled between the houses. It was so impressionable I marked the time in my phone and texted my mom in the room next to me to ask if she’d heard it too. She had. Watching the near-constant flashes of lightning through the blinds and listening to the wind howl between the houses, I eventually drifted back to sleep. At 4:38am I woke again to a familiar discomfort. 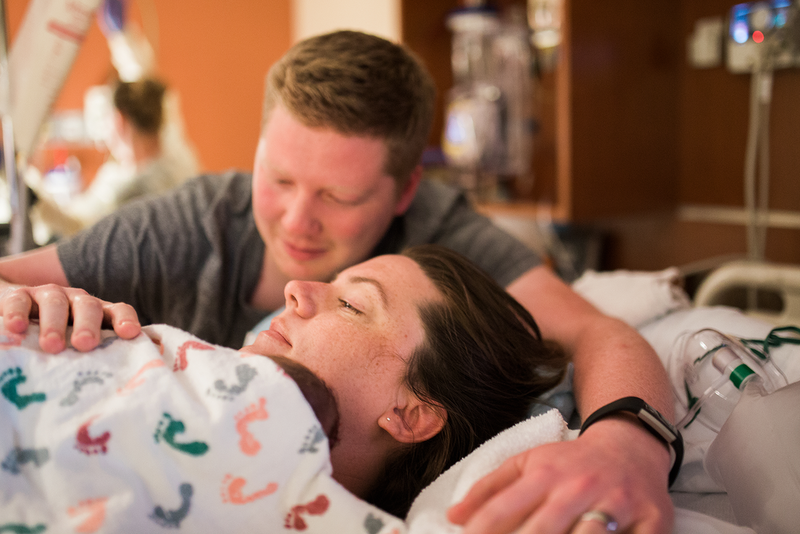 Since my preterm labor scare at 34 weeks I’d endured prodromal labor, particularly at night, that left me quite uncomfortable and made it difficult to stay asleep. Like a beached whale I slowly rolled my huge belly over to lay on my left side. A few minutes later I realized I wasn’t just uncomfortable, but actually in pain. My lower back ached and I felt like I had period cramps. For what seemed like the hundredth time I wondered if this could be it. I was 6 days overdue and had been more than ready to have that baby for weeks! I got up and ran a bath in our guest bathroom like I did almost every early-morning to ease the discomfort, and while the water was soothing, it didn’t stop the pain. I started timing the contractions, which I was now starting to think weren’t Braxton Hicks, and at 5:50am texted Conner who was still in bed in our room that I thought I was in labor. My contractions were 8 minutes apart and lasted about a minute each. I got out of the tub, texted my mom again (I didn’t want to wake her but wanted her to know when she woke up that I thought I was in labor) and went to lay with Conner in our room. After an hour I was sure I was in labor and contacted our doula and midwife. I wanted to labor at home for as long as possible, but I was also worried about our drive to the birth center which is an hour or more away depending on traffic. It was a surreal morning – I was mostly just excited and felt very ready. I remember saying to Mom and Conner, “I wonder if it’d be helpful for me, if I could, to know how long this was going to last.” Ha! The answer to that is NO! I’m glad I didn’t know how long it was going to be! Mom and Conner got things ready to go, had me eating and drinking, and my contractions continued to get closer together. By 9:40am we left to head to the birth center. The drive was less stressful than I’d anticipated (I’m a terrible passenger on a normal day) and I told Conner I was happy it was a cloudy day with low-hanging clouds heavy with rain. It reminded me a little of Oregon. As we drove into Grapevine we decided to stop for bagels for ourselves and my birth team. At 10:30am when we got to the birth center I spoke briefly with my chiropractor, Tara, who said she’d be up in a few to adjust me, and then Grace and Stephanie, my student midwives, took me upstairs. We got situated in the room I’d hoped for with its luxurious corner tub and my doula, Lesley, arrived. I ate a half of a bagel and then I looked around at everyone like, now what?! The drive had slowed my contractions some so I was sent to walk up and down the stairs and along the curb outside to get things going. It was weirdly exhausting! When I’d had enough of that Tara adjusted me and I was instructed to go empty my bladder. My contractions were still further apart and more irregular than they’d been at home. Leslie said she thought perhaps some time in the room alone with Conner would help get things going again, that she thought I felt “watched” and that might be mentally barring me from progressing. She dimmed the lights, and everyone stepped out into the waiting area and Conner and I snuggled in bed. It worked like a charm and I move from early labor to active labor at about 12:45pm. My mom was keeping a journal throughout my labor (if you’re ever invited to be a part of someone’s labor, do this for them! I will be directly quoting her at times when my own memory is too fuzzy to recall much more than pain!) and she wrote: Sarah has been laboring perfectly. She’s feeling strong and positive! And I really did! Labor was painful and intense but I was coping with it. My team was lifting me up and Conner was a steadying reassurance by my side. I knew I could do this! I decided I wanted to have my cervix checked. I’d held off because I didn’t want to be disappointed if I was hardly dilated, but felt it was time to get an idea of how things were going. I was happy to hear I was 5cm dilated and partially effaced! I labored for awhile facing backwards on the toilet at my doula’s suggestion. A strange position for sure, but it made my contractions much more intense and also gave me a place to rest my head (we had a pillow on the back of the toilet). I ate some watermelon, then moved to the shower. The water felt great, as did standing. I’d lean against the shower wall and bend my knees slightly and just breath while Conner, standing outside the shower, rubbed my lower back. I labored there a long time. When Donna arrived we prepared the bath which I was thrilled about! I took at least one bath, sometimes more, every day of my pregnancy. I was sure it would help me to relax and deal with the pain. At 5:15pm I was instructed to get out of the tub to pee (this is an important thing when in labor – people are always telling you to go pee!) and I had a major contraction in the bathroom. I remember them feeling much more intense once I was out of the water. Donna wanted to check my progress again and I had a horrific contraction while on the bed. It was agony and screamed and yelled and completely lost my composure. When she was finally able to check me I was 6cm dilated and almost fully effaced. I was a little disappointed that I’d only progressed 1cm but I remembered from my birth class that you can move through several centimeters quickly and another can take hours, so I wasn’t too concerned yet. Here is one of my FAVORITE photos... I felt so supported. Mom writes: Do you have any idea how proud I am of you? Everyone here can’t believe how strong you are! Your contractions are further apart but lasting much longer. Donna says that makes them more effective. The goal now is to get you to relax more. You’re feeling a little sick. 6:35pm - Leslie is having you do a yoga pose in the tub through 3 contractions. The idea is to move Wesley’s head past the pubic bone. 6:50pm – You made it through the 3 yoga contractions like a champ! Very, very painful now. 7:00pm – Pep talk from Donna. She said you can go to the hospital and get pain meds, it is an option. You weren’t ready yet. YOU CAN DO THIS! Laboring on the ball is helping you. You’re not wanting people to touch you as much now, but you are needing reassurance. You’re much more calm during contractions and so much positive self-talk! The light outside is beautiful. I still hear thunder but the sun is also out. 9:00pm – Ordered dinner for everyone. [They had sandwiches and Conner’s had onions on it. I remember snapping loudly, “Who the hell ordered ONIONS on your sandwich? !” Haha! Gum was quickly disbursed.] Contractions getting much closer together again. I’m amazed at how strong you are! You’ve been laboring on the ball for a long time, now you’re moving back to the tub. At 9:45pm I got out of the tub to have my cervix checked again. I felt so confident that the laboring I’d done on the ball had progressed me. 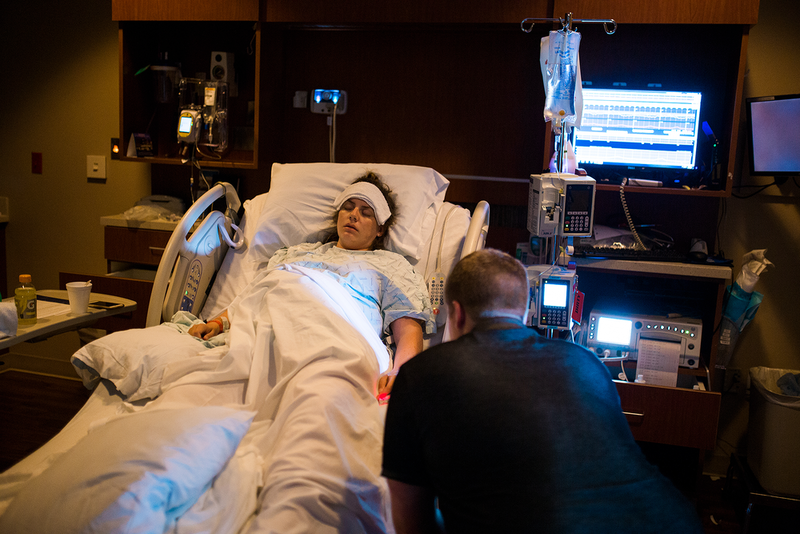 The contractions felt different and more intense, I was not at all worried. So when Donna said quietly with a sad look on her face, “No change,” at the same moment another massive contraction came barreling at me, I lost it. Devastated doesn’t even begin to describe it. I started screaming for someone to push on my hips (to relieve my back labor) as I desperately tried to turn over and get on my hands and knees (where I was coping with the pain much better than on my back). I buried my face in the mattress and sobbed. I absolutely hyperventilated. I am crying now thinking of it. To believe I was doing well, progressing nicely, enduring the pain to make progress, and then to find out nothing had changed… it was awful. And it is this moment that makes me able to tell you that labor pain, and your ability to cope with it, really is almost entirely mental because at that moment I completely stopped coping. I was instantly out of my mind with the pain, when a moment before I could handle it. It was the worst experience of my life, writhing on my hands and knees on that bed, stuck at 6 centimeters, exhausted and scared and feeling I’d failed. 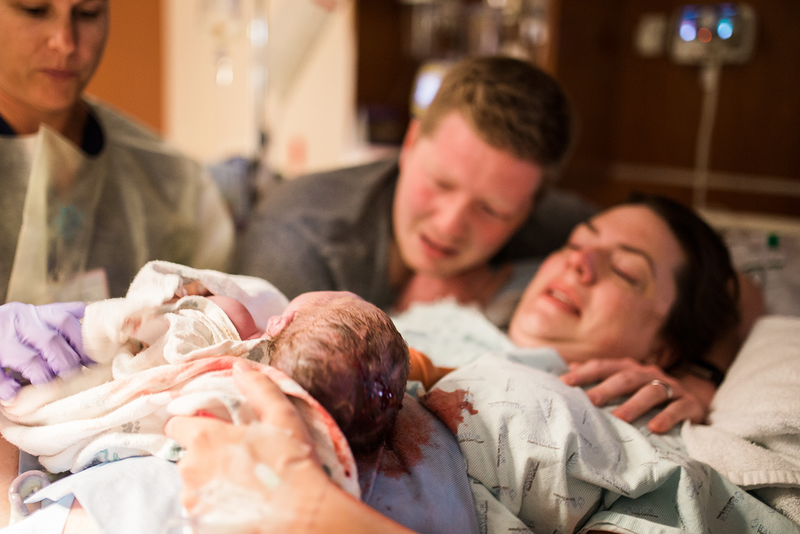 This is where I want to pause and quickly go over why I wanted a natural birth to begin with. I actually sort of stumbled into it. I had two losses in 2016 before getting pregnant with Wesley, and during those losses I was treated so horrendously by my OBGYN’s staff (during some of the darkest days of my life, mind you) that I immediately sought out another kind of care. That’s how I came to be at the PeaceHealth Nurse Midwifery Birth Center back in Oregon. My first appointment there was literally just an emotional checkup after my miscarriage, and the compassion and time I was given during that appointment, and subsequent appointments after, was like night and day compared to the OB. 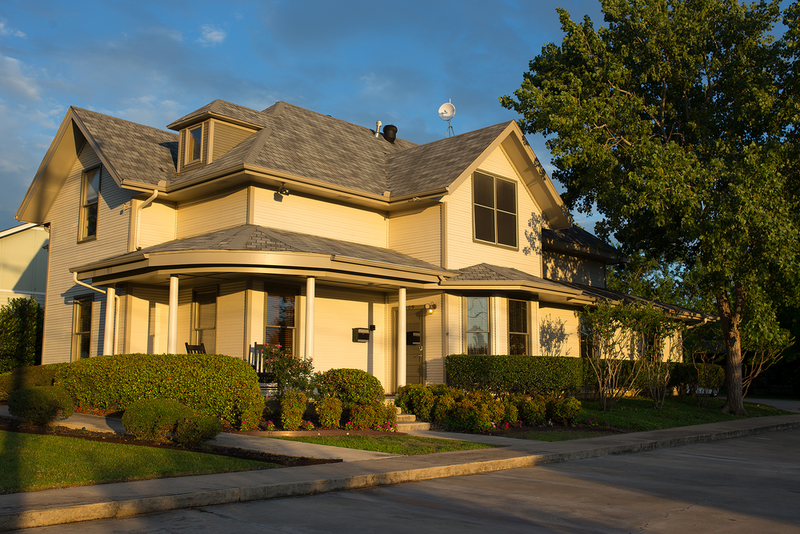 So when we moved to Texas and I needed to start looking for another care facility at 22 weeks pregnant, I was dead set on having a midwife and not an OBGYN. Of course I knew that not all OB’s are horrible, but I still knew I wanted a midwife. By that point I’d also learned a lot more about birth from my midwives in Oregon and was more open to trying the natural route. I’d also watched The Business of Being Born on Netflix, an excellent documentary I highly recommend to any expecting mom (it does have a bit of an agenda, but it’s also very informational and eye opening) where I learned even more about the cascade of interventions that so commonly occurs in hospitals in this country. The more I learned about natural birth, the more I realized it wasn’t about being some superstar woman with bragging rights like I’d previously thought. 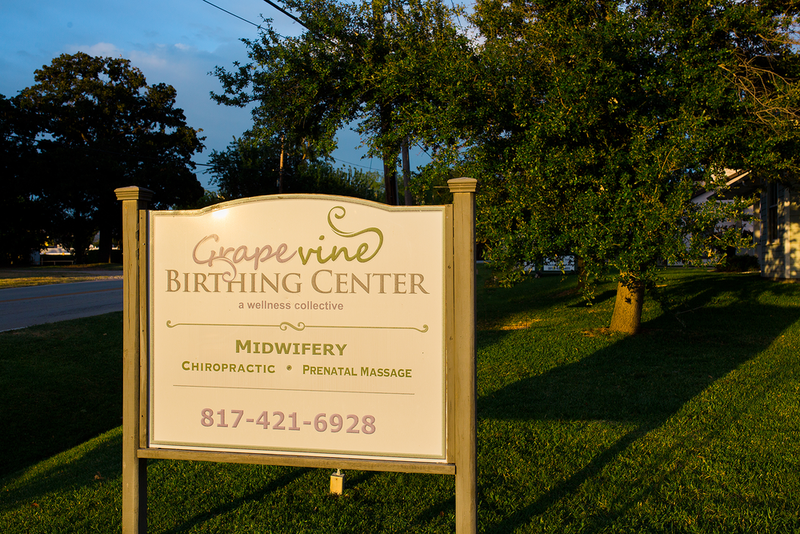 It’s about giving your body time to do what it can do naturally, and not feel pressured to intervene in that process simply because you’re taking “too long.” THAT was what I wanted, and that’s why I chose to go with Grapevine Birthing Center which is a standalone facility (not attached to a hospital) and where, because you’re with midwives outside of a hospital, you cannot have any medication. 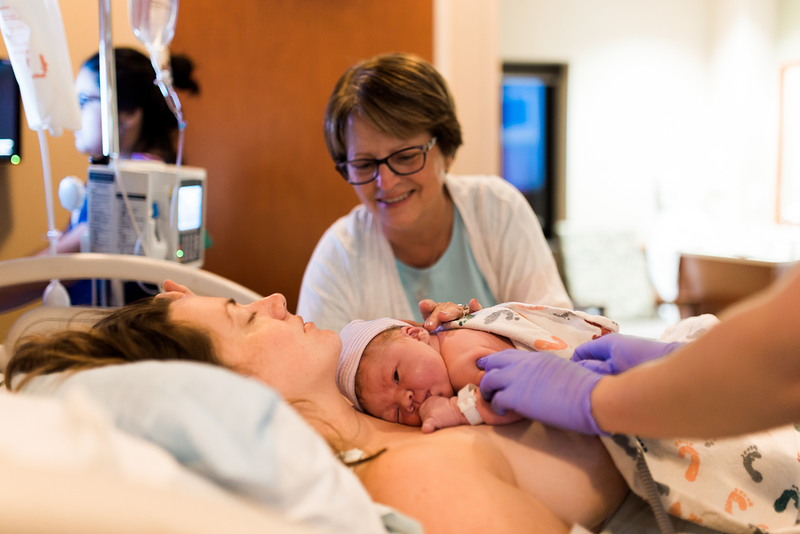 I had not previously been opposed to medication, but now I dreamed of a beautiful, peaceful water birth similar to those I’d watched countless videos of during my pregnancy. One last sidenote: Thank GOD we attended a 10 week Birth Boot Camp class that focuses on natural birth but also teaches you about all kinds of birth, including those with epidurals, c-sections and other interventions. We had to call on the techniques and knowledge we’d gained from that class countless times from this point on in the story because our birth plan was effectively being thrown out the window. So, back to me writhing on the bed in the birth center with the new-found knowledge that my natural birth was not going to happen. :) I spent 18 hours laboring naturally, progressing nicely… until I wasn’t. It’s as simple as that. Now it was time to make the 3 minute drive to the hospital down the road. I was PANICKED about this. I absolutely could not sit down and my contractions were right on top of one another. Everyone was in a flurry around me getting things together. I’d been wearing only a bathing suit top so someone obviously helped me get dressed, but I don’t remember who. I have no recollection of getting downstairs, but I do remember the car ride. I was in the front seat on my knees facing backwards. It was agony. When we got to the hospital I went straight for a wheelchair in the lobby and got on my knees in it for another contraction. Apparently I wouldn’t let them push me in it because I couldn’t sit down so I walked but I made them take the wheelchair with us so I could kneel in it for each contraction. By now it was 12:30am and I was 7cm dilated. Wesley was still at 0 station. They put in the catheter and apparently I was drifting in and out of sleep thanks to the Stadol. At some point my midwives left to get some rest since I was now in the hospital’s care. (They returned the next morning to see me through and continued to be such a comfort to me!) I kept asking Conner if my mom was still there, because I was so groggy I couldn’t look around. He kept assuring me she was, and I remember her kissing my forehead. By 2:00am I was awake again and was 8cm dilated. Conner, mom and my doula Leslie got some sleep but I was on my phone, too wired to sleep but now pretty comfortable with the epidural doing its thing. And my legs weren’t paralyzed which made me really happy! In the beginning the epidural was at the perfect strength. Mom writes: 7:30am – 9cm and water still intact. There was a beautiful sunrise this morning. Great day to welcome a baby. NEED COFFEE! At 8:45am I met my new OBGYN, Dr. Clark, and he broke my water to try to progress my labor. Unfortunately there was a small amount of meconium in the waters, which can indicate that the baby is stress. With my water broken I was now officially on a labor time limit. Most of the morning passed pretty easily. My epidural was working well and Leslie had me switching positions fairly often to try and keep my labor from stalling now that I wasn’t feeling the contractions as much. It certainly was still uncomfortable and I could still feel a bit of pain, but by comparison to the night before it was much more manageable. At one point she snuck me a honey stick from my bag because I was about to pass out from no longer being able to eat. I had been eating small but regular portions in the birth center but they don’t let you eat in the hospital. At my insistence, the nurse ordered some sugar water for my IV and I felt WAY better. At 11:00am they start Pitocin at a VERY low dose because my labor had, in fact, stalled at 9cm. We were SO CLOSE! My epidural was wearing off so I hit the button to get another dose. From here on out the epidural was really wonky and there were certain areas of my body where it stopped working. I kept hitting the button trying to get it to work again (good thing it doesn’t allow you to overdose) and a new anesthetist came in and adjusted it at one point. At 1:30pm I was still at 9cm. 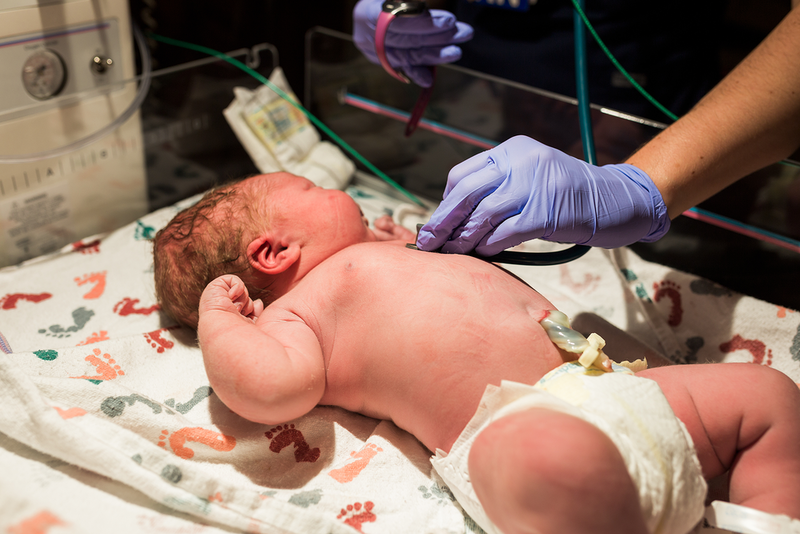 My nurse kept coming in saying she had just talked to the doctor, and pretty soon we’d need to, “discuss options.” Well I knew what that meant: c-section. And it about sent me into a panic every time she said that to me. I think it was meant to motivate me but it just terrified me. At 3:00pm Dr. Clark measured the intensity of my contractions and determined they were strong enough to begin pushing and was giving me one more hour to fully dilate. I’d begun having excruciating pain high on my back between my shoulder blades. It felt like a hot razor was being pressed into my spine. It came out of nowhere and was the WORST pain of the entire labor! I couldn’t move my head or get into a position where the pain stopped. I remember at one point snapping, “This is a f***ing hospital! You can’t help me with some back pain? !” The anesthetist was called again and he said he could help me with this area (points to my lady bits) but couldn’t give me anything to help with the upper back pain because I was still pregnant and all the good drugs aren’t safe for the baby. UGH! This freak back pain, the worst pain of the entire labor, might just be the reason I ended up able to give birth the way I did. I was SO ANGRY that a tweaked back was going to cause me to have a c-section after everything I’d been through. The anger kept driving me forward. 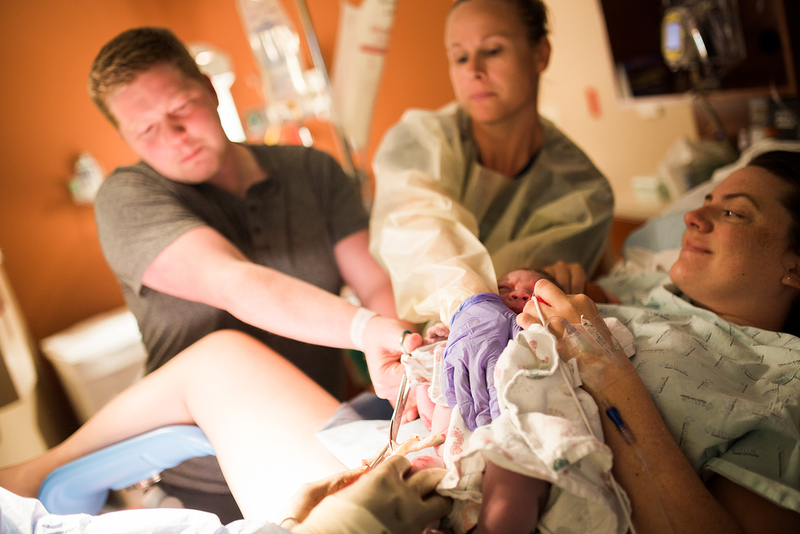 I was absolutely determined to not let this STUPID injury, whatever it was, to be the end of my birth story. I wasn’t getting a natural birth. Fine. I’d made peace with that already. But I wanted a vaginal birth. 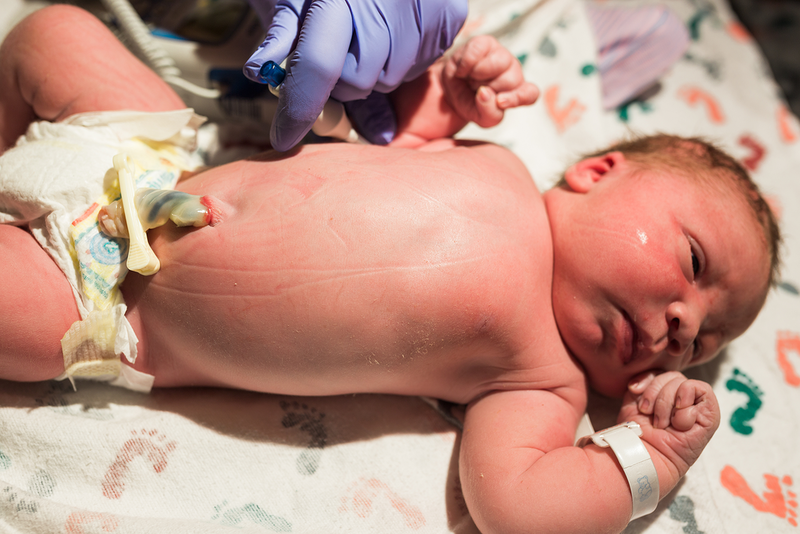 As I said before, I was terrified of the idea of a c-section. At 4:38pm I was FINALLY fully dilated and ready to start pushing. My nurse asked me if I wanted a mirror set up so I could see my lady bits because it’s often helpful for a first time mom to be able to SEE how she’s pushing and what works. At first I said no but quickly changed my mind and the mirror was a great help! A few times during the 3.5 hours that I was pushing random nurses who had never been in my room before came in and would MOVE THE MIRROR like it somehow hadn’t been in the right place the entire time and I kept getting so frustrated. I’d be in the middle of a contraction, bearing down and exhausted and have to say, “Move the mirror back!” or “Don’t stand in front of the mirror!” One nurse gave me some real attitude for that. I still don’t know who they were or why they were even in there! Pushing was actually somewhat of a relief to me. I liked having something to do during the contractions, which I could now fully feel (stupid epidural). Conner held one leg and either the nurse or Leslie held the other. I couldn’t bend my chin to my chest when I was pushing like you’re supposed to because of the horrible upper back pain. And my eyes felt like they were seriously going to pop out of my head. When I pushed I would close my eyes and literally PUSH against my eyes with one hand, and the other hand had to be massaging my rib where I was having another mysterious pain. Mom writes: Stephanie, Donna, Leslie and I were talking about what a strong woman you are. Stephanie said she was so blessed by you and to be able to help you. From under your oxygen mask you said, “Who? Me?” We all laughed so hard! 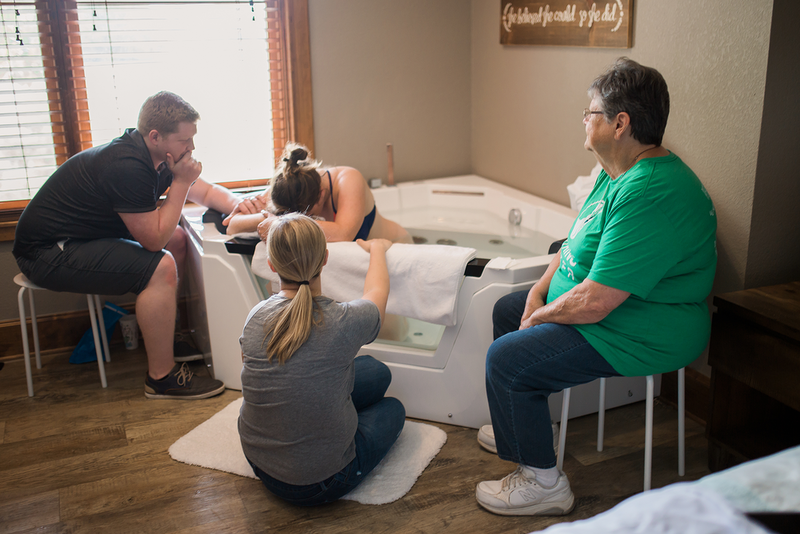 When I first started pushing I thought, “Wow, I hope I don’t have to do this for 2 hours.” 2 hours is what we learned is usually the maximum amount of time a woman will be allowed to push, for her safety and the safety of the baby. After 2 hours was up, though, I thought, “Oh no! It’s already been 2 hours! They’re going to make me have a c-section!” But because my vitals and Wesley’s vitals were all still looking ok, I was allowed to keep going. I could see his head by this point! He had dark hair! Donna started gently massaging the area with olive oil and that small change made a huge difference in my pushing! 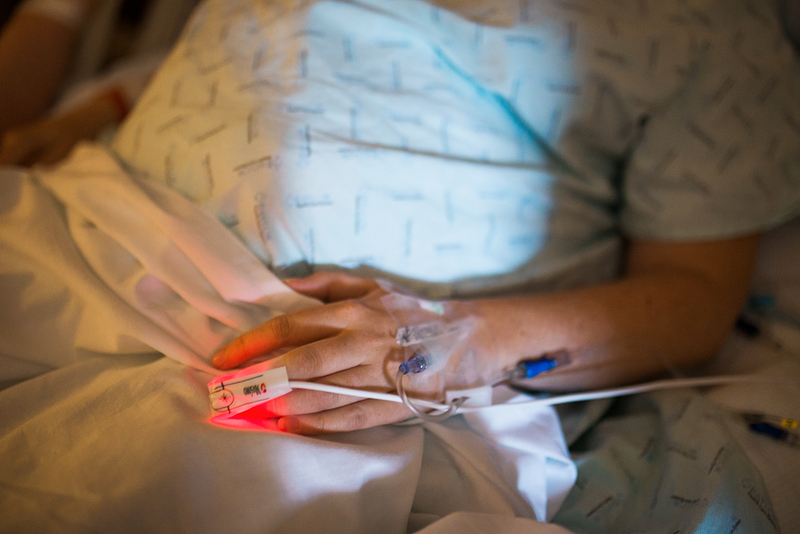 Mom writes: Stephanie and Donna are now questioning continuing – not that they don’t think you can do it, but because they don’t know how much more you can go through. Or should be put through. But as the strong woman you are, you kept going. More nurses have been brought in to help and they have a gurney in the hall to take you for emergency surgery if needed. I didn’t know about the gurney, and I’m glad for that. FINALLY Dr. Clark returned. I’d been asking for him for awhile and got pretty impatient as time went on. When he came in he had coffee in one hand and his other hand was in his pocket. He said calmly, “I hear I’ve been summoned.” Haha! He told me he was going to watch me push through one contraction, and then we’d talk. So during my next contraction I gave it all I had, and he told me afterwards we could either use the vacuum, or have a c-section. Conner and I sought the opinions of our birth team, but in the end I said, “Dr. Clark, you’re the one who will do this. You know what is possible. What would you do?” And he said he’d do the vacuum. We agreed. He warned us that delivering the head was easy, he could do that, but if there was an issue with getting his shoulders out it would become an emergency situation immediately. He asked for more people to leave the room and when everyone hesitated, including my mom, Conner said, “You’re staying, Wendy.” I had no idea what was going on so I didn’t know until days later that Conner had done that, but I am SO grateful he did. I would have been devastated if my mom had left at that point. The rest of my birth team cleared out, which in hindsight makes me sad (I didn’t even know they did at the time). I understand that Dr. Clark needed his own team in the room but my team had seen me through these 40 hours of labor, it was sad that they had to leave at the last moment. I was not able to move my head at all anymore because of the upper back pain, so I couldn’t see the mirror, or look down in any way at what was happening. I could see my mom in the corner of the room, though, and she was crying, which she doesn’t do often. I remember thinking in almost a detached way, “This must really hard to watch your own kid do.” As I said before, I also didn’t understand that people were actually scared, because I didn’t know about the gurney or the additional staff, both for me and from the NICU who were in the room. At my next contraction, with the doctor’s words in my head about the danger of the situation if we didn’t get Wesley out fast enough, I put every single ounce of energy I had left into those 3 pushes. During the first push, I felt his head come out and people were telling me it was there, they could see it. The next push I felt a LOT of pressure, but not much movement. The last push, and it truly was the LAST push I had to give, I let out a crazy loud primal yell and it felt like every organ in my body came flying out of me! I know that’s a little graphic, but I will never forget that feeling. It wasn’t painful, but I just felt instantly empty and knew he was out. It was incredible. Conner was right by my face sobbing. I asked him later if he watched Wesley come out (he was standing up by my head but could see in the mirror) and he said he watched his head come out, but that Wesley’s face was so still and he was also remembering the doctor’s words about getting his shoulders out and he looked away at the point. I don’t blame him… I think being the support person to a laboring mother would be incredibly hard! I began to sob as I felt Wesley be placed on my chest. I don’t even remember if he cried or made any sounds because Conner and I were crying so hard! I couldn’t move my head at all to look at him so I just kept feeling all over him. Conner and my mom were describing him to me and kept saying he was BIG! Honestly those moments right after his birth are a little hazy because I had truly exhausted myself. I heard the nurse say he was born at exactly 8:00pm. Then my attention was drawn back to Dr. Clark. He was very quiet and working furiously to stop my bleeding. I was given a shot in my leg to help stop it. He did wait for the cord to drain but ended up pulling the placenta out because he had to get my bleeding under control. Conner cut the cord. Dr. Clark’s “massaging” of my uterus was as painful as the delivery! He was practically punching my stomach, again to help stop the bleeding. I also had a 2nd degree tear that he had to stitch, but I didn’t feel that at all. I didn’t know until the next day that Dr. Clark did actually use the vacuum! I thought he’d anticipating using it but hadn’t had to. I didn’t know it was silent and small. When you’re pushing, you’ll see your baby’s head move forward and then when you stop pushing it retracts a little bit. I guess the vacuum was simply used to keep his head from retracting in between those last 3 pushes. Wesley did have a small blister-like injury to his head from the vacuum (which made me really sad) but otherwise was just swollen and tired like me! Once Dr. Clark was finally done getting me fixed up he congratulated us and Conner and I, balling our eyes out, gave him the most heartfelt thanks of our lives for letting me try for so long to have this vaginal delivery. It is impossible to explain how grateful we are – it is not normal AT ALL for an OB to allow a labor like that. I really felt he kept assessing our situation and rode that very fine line between trying to get us what we wanted, and keep us safe. As Dr. Clark was leaving I realized my vision was doubled pretty severely. They checked my blood pressure and it was extremely high. My eyes were completely swollen as well from pushing. My body was totally out of whack. I forgot all about that quickly, though, when Wesley was put to my breast and opened his mouth SUPER WIDE and latched on almost violently. We all laughed! After about an hour the nurses took Wesley to weight him. He was 10lbs! Because he was so big they did a glucose test by pricking his foot and testing the blood. They determined he needed to nurse more. Mom left to go back home at that point. She really didn’t want to but needed to get some sleep so she could enjoy her new grandson in the morning! We were moved to our recovery room and on the way Wesley turned blue. That was terrifying! I was being pushed in a wheelchair and holding him, and his head had fallen against his chest interfering with his breathing. After that they warned us with such a big baby we’d have to be extra diligent watching that his big head didn’t fall forward! They put him in a warmer in our room and were monitoring his oxygenation. It was all over the place and kept dipping too low. After a few hours of this the nurse decided to take him to the nursery so she could put an oxygen mask on him. She said she’d bring him right back and we should get some rest. About 45 minutes later another nurse came in and told us he’d been taken to the NICU. Conner and I were so exhausted and didn’t really know what to do when she left. Conner went straight to sleep but I laid there feeling empty, having just gone through the hardest thing of my life, and not having my baby by my side. I will do a separate post about his NICU stay. Luckily he only had to be in the there for 4 days. We saw so many other babies with much worse issues in there… we are so grateful our big boy was ok! My birth did not go the way I’d planned. AT ALL. For many women, this can be a difficult thing to accept. Having a birth go so completely different than what was planned can make women feel like they failed or are somehow inadequate. I don’t feel this way at all. I have never been more proud of myself in my life. I am in awe of what I did to bring that boy into this world the way I did. And here’s what I attribute that feeling of pride with: My team. Every single person who was involved in my birth helped prepare me, lift me up and help me truly believe I could do it. If I had one piece of advice for expecting moms it would be to find a team of people who will do that for them. It is invaluable. The quote that hung in my room at the birth center, “She believed she could, so she did.” That was it. The preparation and care that was given to me before and during my labor made me truly BELIEVE I could do it. And so I did it. It never crossed my mind that I couldn’t. Donna, Grace, Stephanie, Tara, Leslie, Hollie, and Dr. Clark, I will never ever be able to express how grateful I am for you and what you did for Wesley and I. From the bottom of my heart, thank you. I already wrote a little tribute to my mom and everything she did for us. You can read it here. Love you mom! The love of a spouse is different than that of family, because we chose to love each other for the rest of our lives. Damn, I chose well with you! You were the perfect birth support person and I am so proud to call you mine! You were attentive, strong, sweet, selfless and you made sure I was getting what I needed and wanted in the moments that I wasn't able to do that for myself. Our relationship has felt easy from Day 1 and the transition into parenthood with you has been a smooth one as well. I love what my mom said about you having a smile on your face almost the entire 40 hours of labor... but that doesn't surprise me. That's you every day, smiling through this life. You are an amazing father and husband - Wesley and I are so lucky to have you. Thank you for helping me bring our son into this world!